Footage taken at 6am on Friday 8 November as the storm hit Hernani in Eastern Samar. Plan staff member Nickson Gensis took this while sheltering on the 2nd floor of a house less than a few hundred metres from the sea. "Six of us took refuge on the top floor of a boarding house. Five were praying and I was filming. The others called me to pray with them but I said that I needed to document this." "Three of our group were male and we all wore trunks so that we could swim if we needed to. We were so scared. But I thought, 'if I die, so be it'." 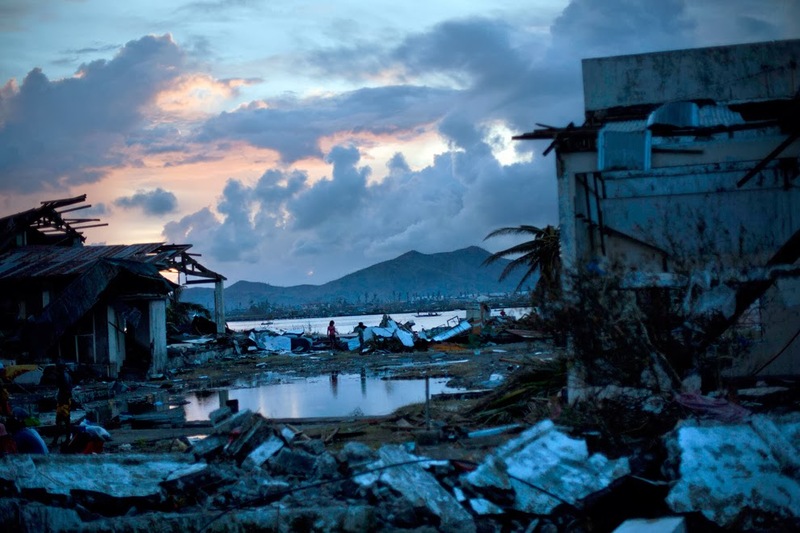 "It was like a huge tsunami but the water receded quickly afterwards. We ventured downstairs and outside around noon. I took shots of the boarding house we had been in because I was so thankful thank it protected me. At 2pm I started work, traveling to assess the damage to villages supported by Plan. I realized as I was taking notes while talking to people that I was shaking."